The sigil of The Deshaan Confederacy (House Dres), which depicts a Sky Render holding the Confederacy's sacred Covenant Chain. Each chain link represents one of the founding clans of House Dres. To an unsuspecting foreigner or slave, the chains can be seen as a symbol of opression and slavery, especially given the noose-like arrangement of the chain. The House Dres’ particular Tribunal is Sotha Sil. Dres itself is a confederacy of semi-nomadic clans that first settled the Deshaan, known officially as the Deshaan Confederacy. Their council is made up of the heads of each of the various clans, which have retained their distinct identities, unlike the other houses. Over time, some of the clans have come under the suzerainty of (or have become indebted to) others, so that a member of a different house will be their patriarch. This is how the player becomes a member of the council even though they aren't a part of a minor house; their title will be “Suzerain” rather than “Patriarch” (or Matriarch). Their society is one without generosity. They are xenophobic, unfriendly, and stern. Even more so than other houses, the Dres are taciturn and unapproachable. Even rather insignificant things are considered hard-won knowledge that can only be shared within the Confederacy, or even vassal minor clan. The Dres consider other Dunmer outside their society as misguided, while outlanders are not even recognized as sentient beings worthy of consideration. The Dres have a deep-seated belief in their traditions, which are more ancient and less modern than any other house. They are dubious of change and new customs. Despite their staunch traditionalism and adherence to ancient, tribalistic customs (similar to those of the Ashlanders), they are still a sophisticated industrial and agricultural powerhouse, exporting food and slaves to the rest of Morrowind. They value hard work, and though their success has largely come as a result of shameful dealings, they regard it as the result of their hard work, a bit hypocritically. They do not indulge themselves like the Indoril & Hlaalu do. The various clans of House Dres live in extended family units, and are lead by Patriarchs. Currently, this happens to be a group of wise-women. The leaders of these clans form the Confederacy Council, which alongside their leader, the Satchem-ithil, rule House Dres. Every clan is bonded through the Confederacy’s sacred Covenant Chain, a symbol of the bargains and alliances made to unite the disparate families of the Deshaan. 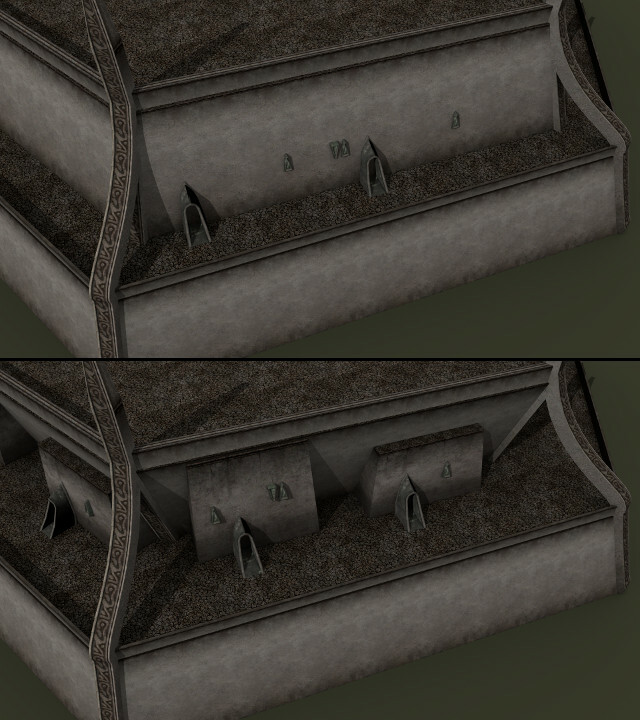 Economically, the house depends on the cultivation and export of Saltrice, utilizing a large pool of slaves to power the machinery that makes the Deshaan Plains the breadbasket of Morrowind. They trade only at the edges of their society (and territory), and don’t let outsiders in or travel out themselves. Making and getting good bargains (both within the society and without) is essential to their society, without regard to the concepts of fairness. The Dres Confederacy trace their origins to the first Chimeri nomads of the Deshaan, the Saltwalkers, who eked out a living herding the region’s indigenous fauna. After the War of the First Council, the Annunciation of the Tribunal was interpreted differently by different houses. In the south, around the Deshaan and on the southeastern coast, a variation of the Tribunal faith predominant that would become a heterodox tradition once the Indoril theology became accepted as the universal orthodoxy. They regard the Tribunal as the Realization of the Good Daedra, rather than seeing the Good Daedra as the Anticipations of the Tribunal. They accept the Tribunals' divinity, but in a way which maintains an equality (or even, possibly, a certain inferiority) with Daedra, rather than holding the Tribunal to be the greatest and most mighty divinity imaginable. The Dres view saints as Heroes, rather than revere them as holy beings. They maintain different burial rites and records of ancestry from the north, and did not send dead to Necrom until the Tribunal required it for the Ghostfence (which remains a controversial point). In the late First / early Second Era, the various nomadic clans united into the Dres confederacy to keep from being swallowed by the Indoril behemoth, though many still maintain a loyalty to their particular minor house clan rather than to the Dres identity proper. This also consolidated economic control over the region, and It was around this time that the Dres learned to make the Deshaan bloom. Prior to the Second Era, Morrowind did not benefit from the huge saltrice yields that have become a staple crop for much of eastern Tamriel. It was through a deal with the Sload that the Dres learned the secret of tilling salt (one that would be repaid upon the death of the Dres). In an attempt to double-cross the Sload, they also brokered a contingency deal with a consortium of Daedra, that gave them what they percieved to be immortality, though the specifics of this deal are not widely known (more on this below). At first, the Dres relied on Hlaalu imported slaves from Elsweyr as the majority of their labor force. During the late Second Era, though, Dres leaders made a secret trade deal with the Hist which would be their downfall if it was discovered. They traded a small number of Dunmer to the Hist in exchange for a huge amount of Argonian slaves. Things almost came to ahead in the Arnesian War, when one of the Dunmer attempted to run from the Argonians, but for now the Dres have kept a lid on the externalities of their deals with the Hist. Everything is coming to a head though. Whatever the Sload wanted is coming due, and the Hist are coming for their own as well. Not only that, but whatever secret deal the Dres made with the Daedra is beginning to come out, as several influential figures in the House have begun to disappear entirely. The leadership of House Dres is being infiltrated by Hist agents. Things are about to get serious. As stated above, Dres society relies upon trade and making bargians, always aiming to achieve the better end of the deals that they make with others. The Dres' concept of bargaining is not based on fairness, but their insular view that the deals they make are for the greater good. They do not put much emphasis of the exchange of material currency, prefering the exchange of favours instead. During the course of history, the Dres made three bargains in particular, that affect their situation in the present. The first deal was made shortly after the Battle of Red Mountain. 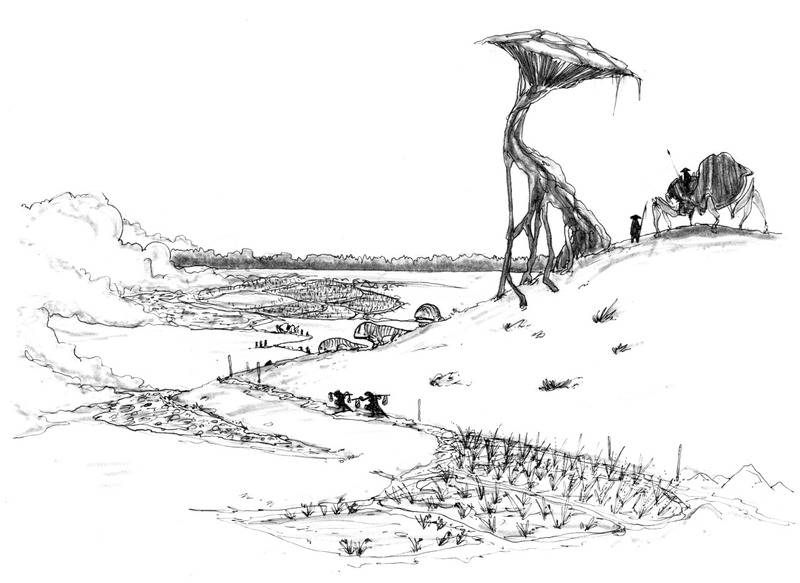 Ravaged by war, and on the heels of the formation of the Indoril hegemony, the Dres saw an oppurtunity to retain their power and autonomy by turning their lands into Morrowind's breadbasket. However, the Dres were not an innovative society, and relied on external knowledge that allowed them to till the salt fields of the Deshaan. To obtain this knowledge, the Dres made a bargian with the Sload, that would be repaid upon the death of those who struck the deal. The Dres realized that this would require giving the Sload a conduit to access Dunmer souls, which would contravene and interfere with ancestral customs. Regardless, the Dres accepted what appeared to be a small self-sacrifice to preserve their traditions, knowing they would find a way around this. The final bargain that they struck was one that would allow the Dres to augment their workforce with a large supply of Argonians. Due to the extremely volatile climate of the Deshaan (as well as their councillors' sustained use of cattle), the Dres needed to constantly replentish their labour force, and between slave raids and ineffectual trade with the Hlaalu, there was not nearly enough supply to keep up. In exchange for a few dissident Dunmer, the Hist would guarantee a steady supply of Argonian slaves that would till the salt for the Dres. Unbeknownst to the Dres however, the Hist had other intentions for the Dunmer that were now in their possesion. In 3E 396, one of the Dunmer (who eventually was canonized as Saint Roris), managed to escape the Hist and was killed in uncertain circumstances, triggering what is now known as the Arnesian War. While the circumstances surrounding the war's early days were uncertain, the crisis quickly began to escalate. Hordes of Argonians began to invade the Deshaan. Due to the fragmented nature of the Dres' leadership, martialing the various clans together proved ineffective, and the Argonians quickly overwhelmed their militias, taking posession of the Salt Marshes. The initial response from the other Dunmer nations was slow, as this was seen as a localized conflict. This quickly changed when the Dres clanstead of Felyon was put under siege, putting enemy forces uncomfortably close to the Hlaalu in Narsis, and threatening their trade routes on the Southern Thirr. At this point, the course of the war changed. For many Dunmer now, the war became seen as one that was in defense of their glory and homeland. For the Dres though, it was a war to save face. Were it to be evident that it was their own machinations that triggered hostilities, their very existence would have been put in jeopardy. The Siege of Felyon was eventually broken when bands of Hlaathom Kwoomriders from the Shipal-shin augmented by Redoran warriors from Marak arrived from the west. At this point, the Indoril and Temple had also joined the war, out of religious fervor and a desire to correct what they termed "The Southern Anomaly". Battles were fought all over the Southern Deshaan, at Sul, and eventually at Tyr, where the war culminated in a final defeat to the Argonian force in the Night of the Thousand Lamps (a native account of the battle can be read here). While the alliance of Dunmer managed to eventually stave off the invasion (even managing to take some land from the Argonians), the troubles that plague the Deshaan and the Dres have only begun to unwravel. The stage is set, as the consequences from the external bargains the Dres have struck have finally come knocking at their door. On the Nature of the Dres' "Vampirism"
One of the bargains the Dres struck involved gaining the "immortality" required to avoid repaying their debt to the Sload. To do this, leaders of several of Dres' influential clans entered into personal pacts with certain Daedra in exchange for powers that would indefinitely delay their deaths. These powers, while sharing characteristics with typical blood vampires, are distinct from traditional vampirism in several ways. In addition to these powers, which the Dres leadership themselves saw as a curse, they ommitted themselves from ancestry, which is to them, a very big deal. To add insult to injury, a stipulation of this bargain in particular was the fact that the Dunmer had to feed on their own kin to sustain their life force, or suffer mentally debilitating side-effects. Choosing to resist, instead opting to drink the blood of their slaves, they suffer migrane-aura visions and nightmares. As they carry the functions of wise-women within their individual clans, this greatly effects their ability to rule and make sound judgements. Despite what they themselves have become, they still view the consumption of their own blood as distasteful, and are slowly paying the price of this decision. In essence, the Dres leadership have become what they most despise, viewing their abominable status as a self-sacrifice for the greater good. Their condition is known only to their closest and most trusted kin. Were it to be known beyond, they would pay the ultimate price. In order to conceal this, they don special masks of crystalline clay and resin, that resemble various, abstract and natural forms (that symbolize beliefs and clan customs). The appearance of Dres' vampirism are not as severe as those of other vampires, as their skin is not as pale or deformed as normal vampires (their NPCs will use custom heads, and not vampire heads). The player will not be able to contract this kind of vampirism, as it was designed specificially for the Dres council. Unlike their traditional counteparts, the Dres do not see their condition as a blessing, but a curse and corruption. They are in a severely weakened state, and rule by proxy, keeping themselves to their quarters (they still suffer from Sun Damage, like other vampires). They are distrustful and generally closed-off to the player, even other Dres. As stated above, the Dres are a coalition of various clans, in which some clans are more powerful than others. In each clan they have an internal structure that roughly resemble their nomadic Ashlander cousins. The current council is entirely comprised of women. The clans are somewhat independent and still have their own identities. From this council derives the true power of the Deshaan Confederacy, which oversees all trade and production within their territory. Dres society can be broken into roughly three groups: The Dres leadership, the kin and retainers of the various clans of Dres, and the slaves that actually toil the fields of the Deshaan. A fourth category of unaffiliated Dunmer and Outlanders in the peripheral settlements of Dres territory is also included. The Dres Leadership: The leadership of House Dres comprises of the patriarchs and matriarchs of the various tribes of House Dres. They are often seen as distant and reserved, in order to keep their secret dealings away from outsiders. Ironically because of this, they enjoy just about as much freedom as the slaves they use for cattle. 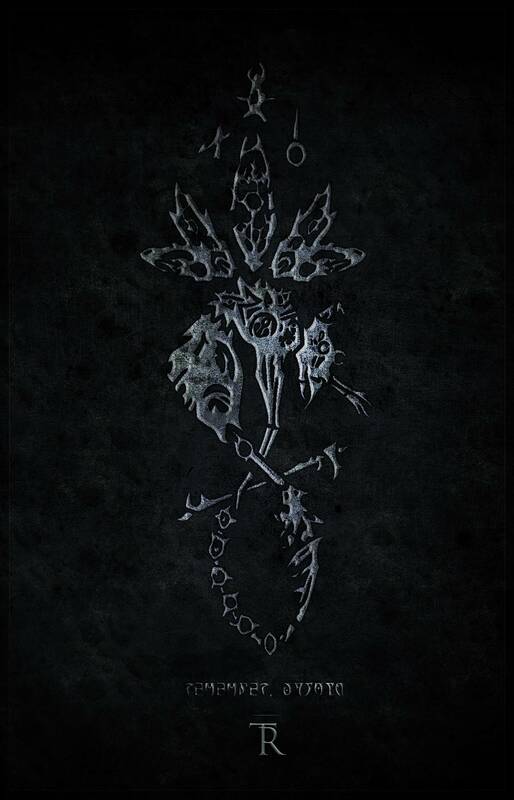 Due to some shady dealings with the Daedra, it is rumoured that they possess a degree of what is said to be vampiric power, though whether this is a form of vampirism is unknown (it should not be classified as vampirism in the traditional sense). As stated above, they rule by proxy, deferring most of the day-to-day business to the Nomarchs of the various districts (who are “elected”, but somehow always end up being close associates to the councillors). The player will somehow obtain suzerainty over a particular Clan, which is how they will enter the higher echelons of Dres Society. 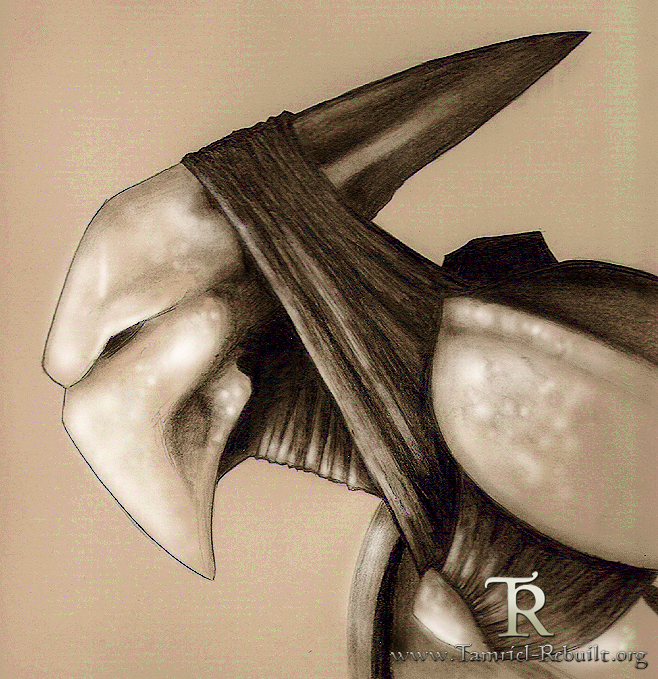 Dres Clansmer: The Dres leaders defer much of the daily business of the House to the various members of their families, as well as their retainers and overseers. While administrative tasks such as negotiating trade, mediating political conflicts between the various clan-families fall to the immediate-kin of the Muthser-thil, field operations are almost always handled by retainers and overseers. Other independent Dres that have not been adopted into a particular clan are bugherders, and operate saltrice paddies under the jurisdiction of a particular Nomarch, or oversee trade operations in Dres’ external settlements. Guards and Foragers are often employed in the service of a particular clan. Despite the 'secret' dealings of the Dres leaders, the Dres are not typically seen as a secretive society. They are abrasive and direct, and will make their views and beliefs known to anyone in plain sight. They value their trade, and are extremely proud of their traditions, rigid and unwavering in their practice and application of their customs. Unlike other societies, the Dres do not see themselves as superior to their own kin, and class systems are generally nonexistent. Every mer has a role to play in the clan, and each role is generally seen with equal status and importance. Slaves: While considered a means to an end by most Dres, Slaves form an incredibly important component of their society. The Dres do not shy from viewing Slaves as tools, and not sentient beings. The majority of slaves found in the Deshaan are Argonians. Many were captured during the Arnesian War, when the Dres managed to capture the Fens of Xa’nith from Black Marsh, and in subsequent raids thereafter. However, many Argonians were imported into the territory as a result of a secret deal with the Hist, whose mannerisms are slightly different. While Argonians are best suited for tilling the fields, a sizeable number of slaves from other races are utilized by the Dres, in a number of different applications (away from the salt fields). Slaves are also utilized as cattle by the leadership of the Dres, and are easily replaceable. Thus it is not uncommon for slaves to disappear frequently from their holding pens, though this practice is only carried out by the most trusted of retainers. Slaves can be found in all Dres holdings, and in the numerous Saltrice paddies around Deshaan. A sizeable amount are available for trade in the infamous pits of Dres Tyr. A holding of Argonians can also be found in the pit at Dres Sul, which is often where the Dres Foragers drop off their captive slaves after returning from raids into Argonian territory. Outlanders & Other Dunmer: Asides from the occasional envoys from other factions, unaffiliated Dunmer and Outlanders are rare in the Deshaan, and it is one of the most closed-off areas of Morrowind, due to the Dres’ attitude towards foreigners. Several outlanders can be found trading with the Dres at the port cities of Dres Tyr and Dres Horak. Some outlanders are also used in skilled trades as craft slaves. Dres Horak is popular with Hlaalu traders stopping over to fill their holds with saltrice, while Dres Tyr is a popular stopover for slavers and Telvanni engaging in the slave trade. Temple clergy can be found in all holdings, though few come from outside the ranks of Dres families, and many are biased in their preachings. The outlander guilds have a minimal presence in Dres Tyr and Dres Horak, and operate often out of sight, to avoid drawing the ire and suspicion of the Dres. 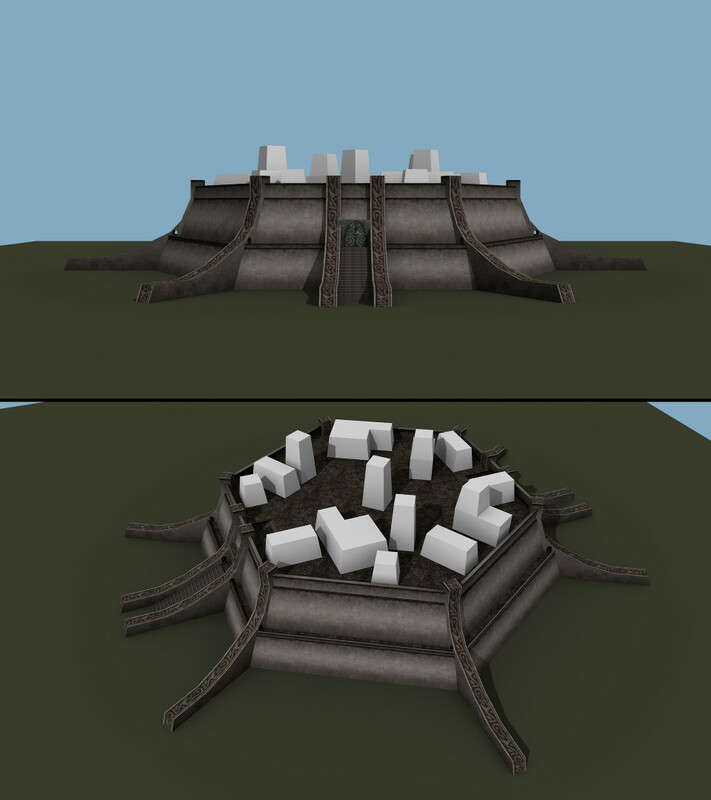 Settlement spaces in the Deshaan can be roughly classified into three major categories: the major cities, clan strongholds, and saltrice paddies. Other settlement spaces such as nomadic camps and slaver outposts are also present in the region. Dres architecture is composed of three elements: the fortress-like hexagonal cantons which are central to all Dres settlements, the modular house-towers for additional structures and houses, and the bugshell dwellings primarily used by the Chap-thil. Each set is used differently based on the type and character of the various settlement spaces. Major Cities: The Dres have two major settlements, Dres Tyr (Tear), and Dres Horak (Ald Mar), Both of which are found at the eastern and western peripheries of their territory respectively. While the Dres don’t traditionally live in large, permanent settlements, the two holdings are trade facilities where the Dres interface with external society, and thus have expanded to accommodate outsiders and visitors. 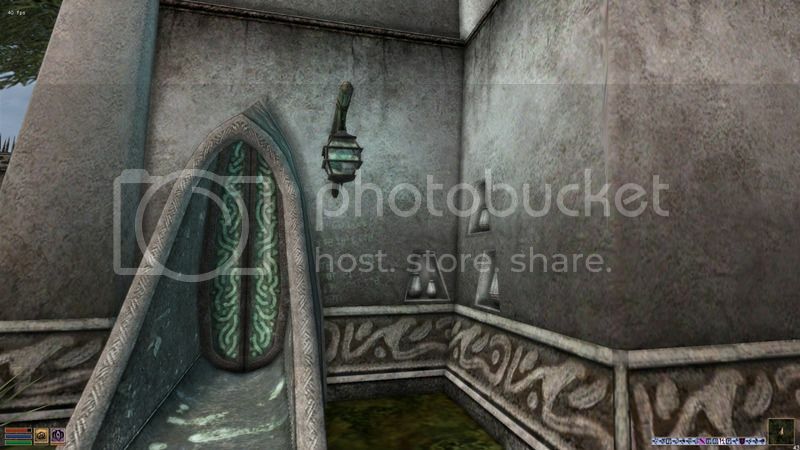 Each of them serves a particular purpose, Tyr being the hub of the regional slave trade, while Horak acts as the facility in which Saltrice is exported to the rest of Morrowind. These were once traditional strongholds, but have grown beyond their cantons and into the surrounding countryside. The Dres in these cities are generally distant and reserved, and have little services to offer to outlanders, with the exception of minor bartering and offering shelter (for exorbitant prices). 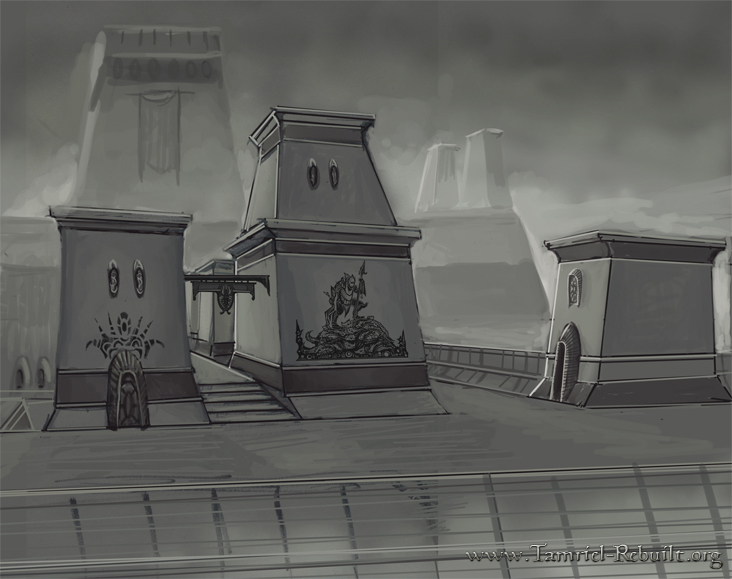 Unscrupulous traders of all races can often be found in the ports Tyr, as its' geographical location offers relative isolation from the laws and regulations of the Empire. Clan Strongholds: The majority of the traditionalist Dres clans live in fortified canton-strongholds that dot the numerous byways of the Deshaan. These were once Chimer strongholds where the various nomadic tribes of the region would meet and trade with one another. As time passed, several clans have since entrenched themselves and used the strongholds as their homesteads. Most of the Dres live within the cantons, though they have a few additional structures such as slave pens and the Temple cantons beyond. It is also not uncommon to see a few semi-nomadic dwellings on the peripheries of the strongholds. Saltrice Paddies & Outposts: The remainder of the Dres settlements take the form of independent saltrice paddies and slaver outposts. These are relatively small, and don’t have a lot of services, if any. The paddies often have a holding for the owners, barracks for overseers and other servants, and slave pens for the slaves that till the fields. The main holding is separate from the slave pens and are walled for additional protection. Numerous saltrice paddies and outposts (VI). Leader of House Dres, Grand Chief of the Confederacy. Currently a puppet rank, without any real power. Player's title when they sit on the Dres council, once they have assumed leadership of one of the major clans. The respected elders and leaders of the various families of House Dres. Councillors. The player does not achieve this rank, as they are not blood-related to any of the clans. An administrative ruler of some precinct or district. The player receiving this title advances thir standing. Oftentimes they are “elected” from the ranks of the clan families. An independent Dres that has been adopted into one of the major clans of the Confederacy. An independent Dres that herds bugs. A special rank with some kind of status. Highest rank achievable without being adopted into a clan. A Dres that has been put in charge of something important [middling rank]. A Dres working for someone else. An initiated member of House Dres. Taken an oath to serve House Dres exclusively.